Edith+Eddie by filmmaker Laura Checkoway and Abacus: Small Enough to Jail by director Steve James continue their respectively successful and award-winning festival runs – both traveling to DOC NYC, America's largest documentary film festival, running November 9-16. Sunday, November 12 - 11:15AM: The Sung Family and producers Mark Mitten and Julie Goldman in attendance. Wednesday, November 15 - 11:45AM: The Sung Family and producers Mark Mitten and Julie Goldman in attendance. Tuesday, November 14 - 5:15PM: Filmmaker Laura Checkoway and associate producer/editor P. Corwin Lamm in attendance. Abacus: Small Enough to Jail was named to DOC NYC's Short List of Oscar contenders in late September. 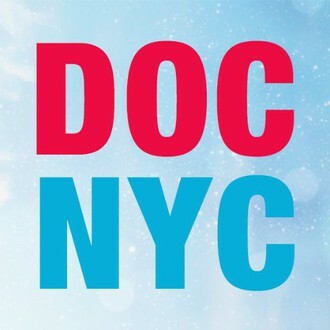 Historically, most DOC NYC picks do land on the Academy's official 15-film Oscar Short List. DOC NYC will be the NYC premiere for Edith+Eddie, which recently earned the Best Documentary Short Award at the Hamptons International Film Festival. Find upcoming Abacus screenings here. Find upcoming Edith+Eddie screenings here.